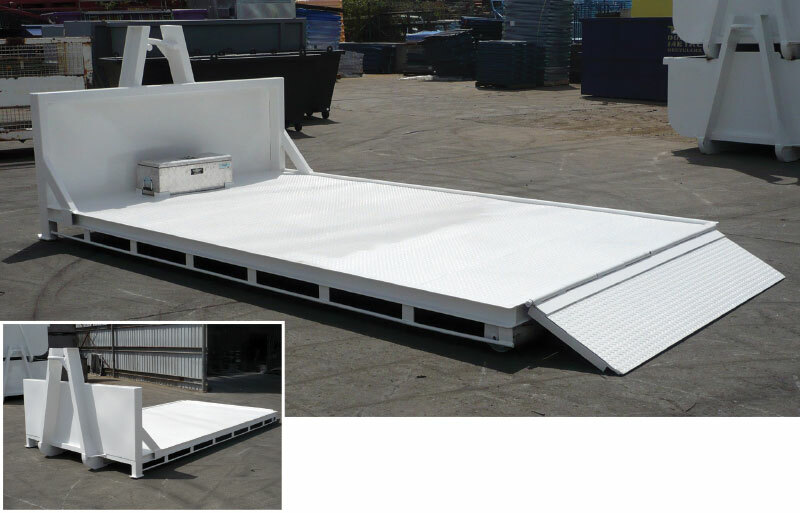 A versatile flat top tray for countless transport and materials handling applications. Used to transport palletised goods, IBC, machinery, plastic and cardboard bales. Similar to rigid flat top truck trailer with the versatility of the hook lift system. Hook lift flat trays can be detached from the vehicle and loaded at ground level. Bins are transported and emptied by vehicles fitted with short base hydraulic hooklift loader.